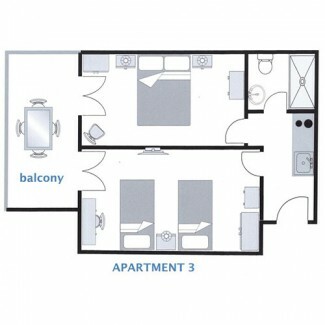 Apartment Three consists of a kitchen area, a bathroom and two bedrooms which lead on to a balcony. 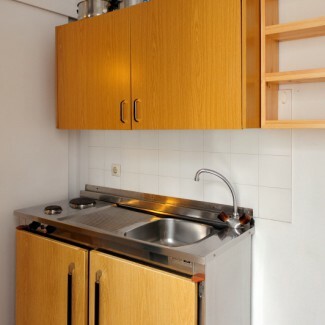 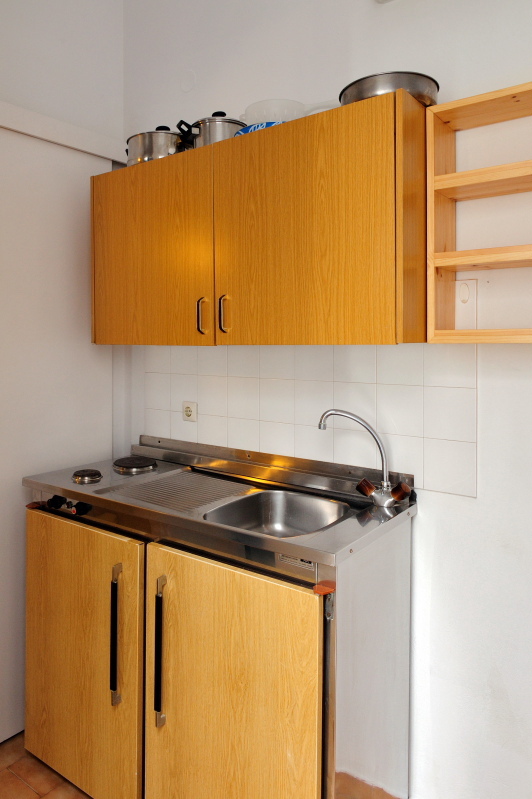 The kitchen facilities provide all that is necessary to have a hearty breakfast before heading out for the day and a simple meal in the evening on the sheltered balcony. 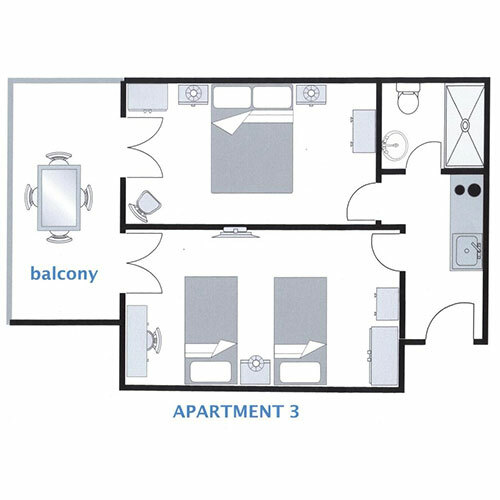 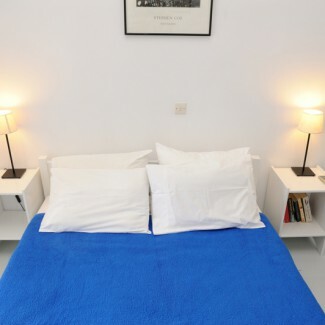 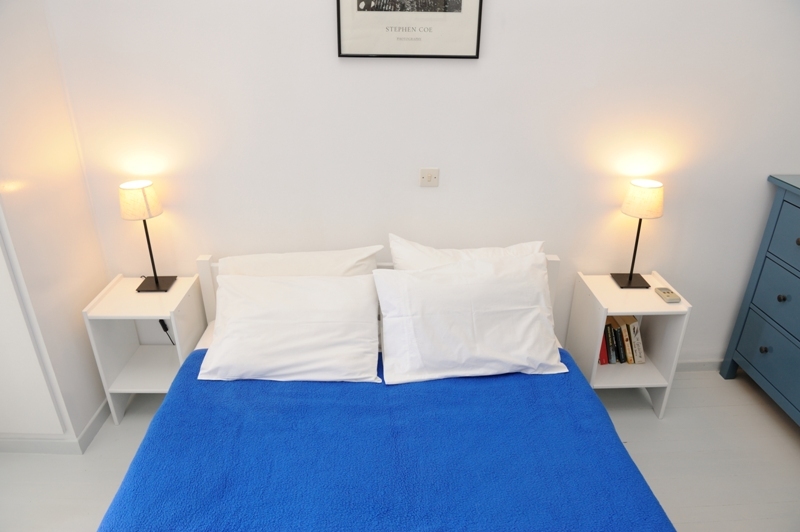 This apartment has one room with two single beds and one with a double. 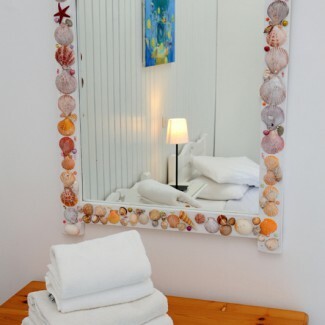 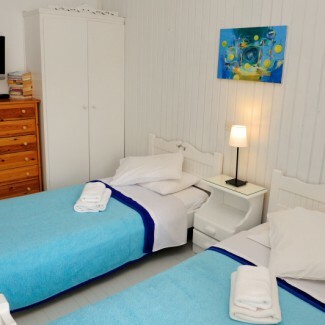 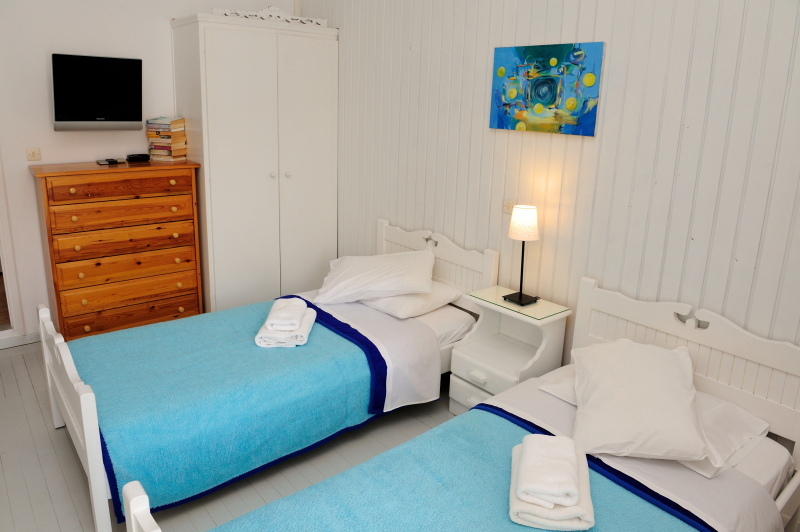 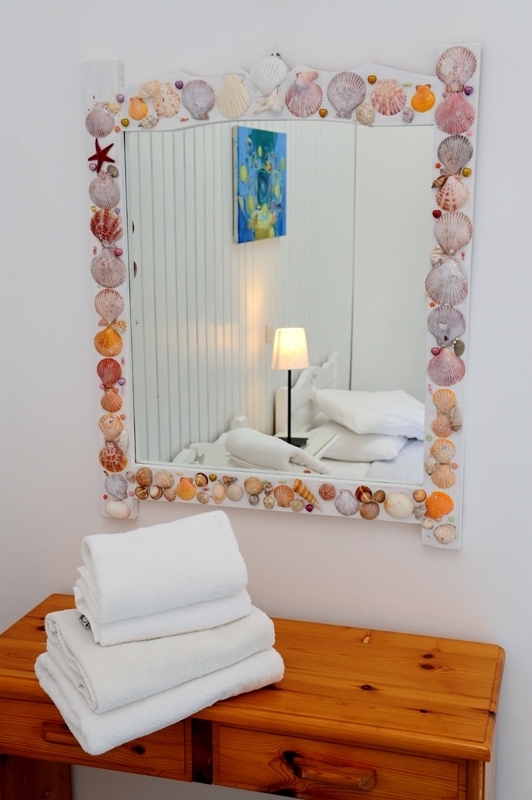 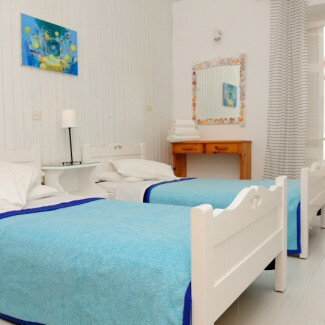 It is ideal for families with young children or friends travelling together. 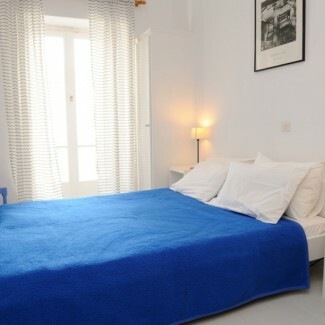 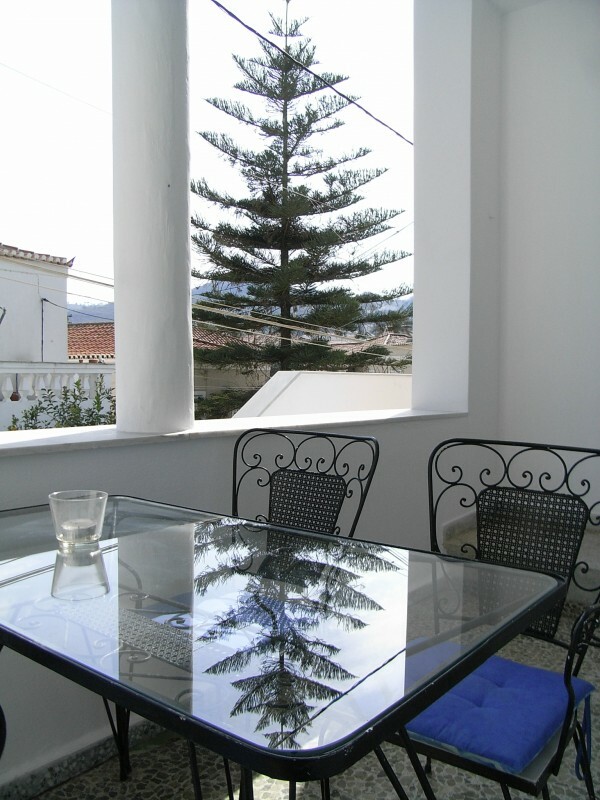 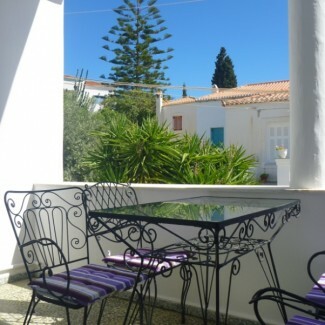 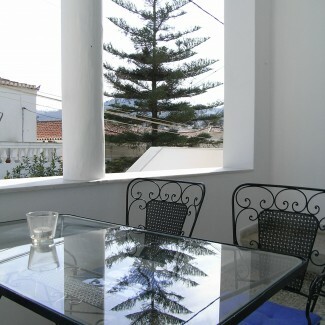 Part of the original house it has wooden floors and the sheltered balcony means it is ideal for any time of the year. 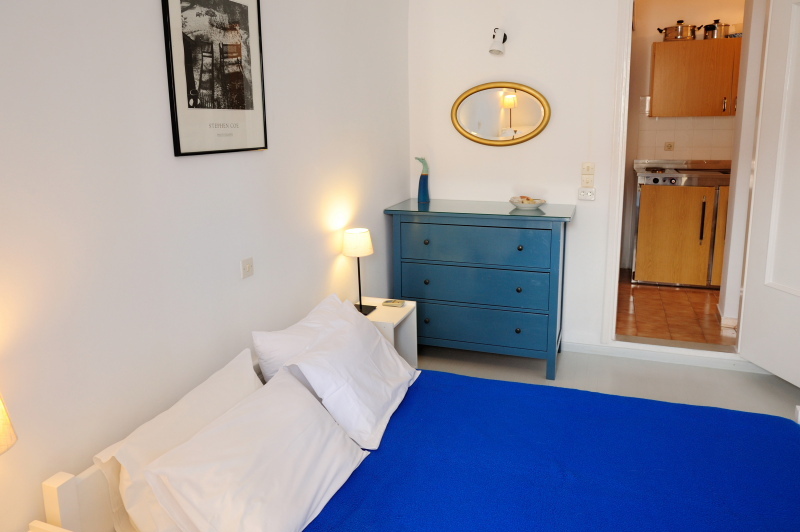 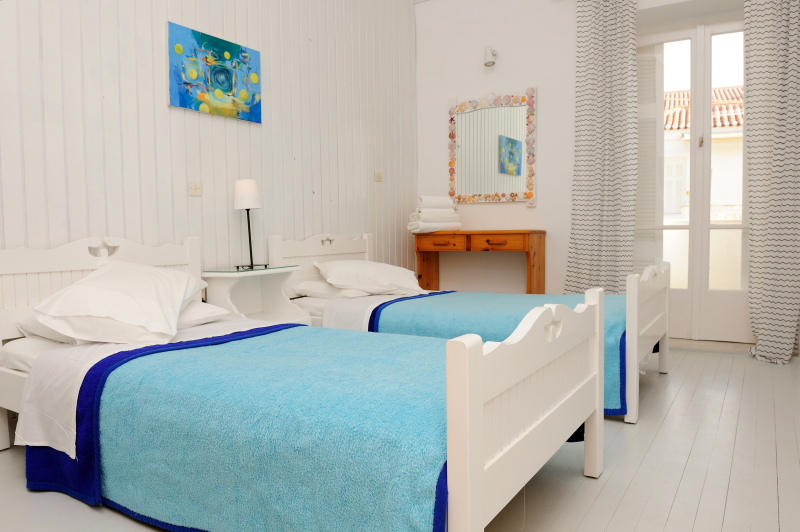 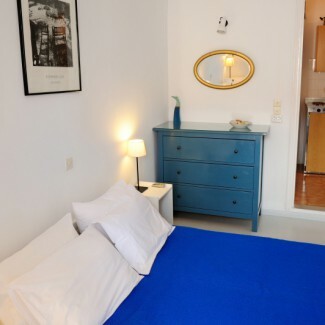 The prices for Apartment Three, based on four guests staying, range from EUR 60.00 per night in low season to EUR 100.00 per night in high season.